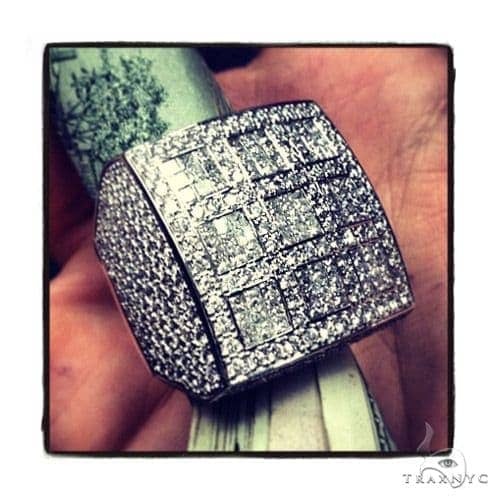 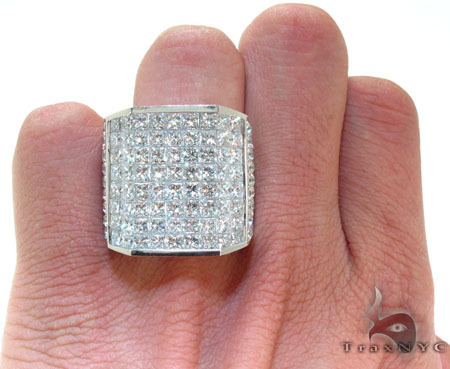 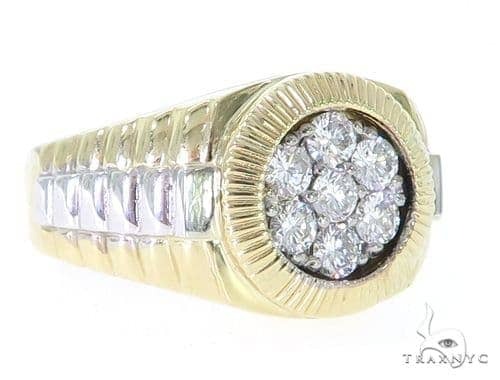 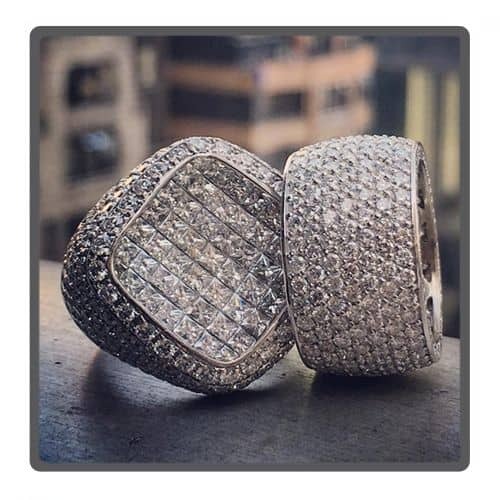 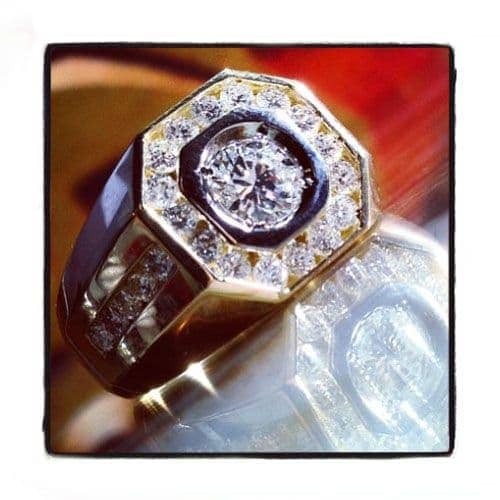 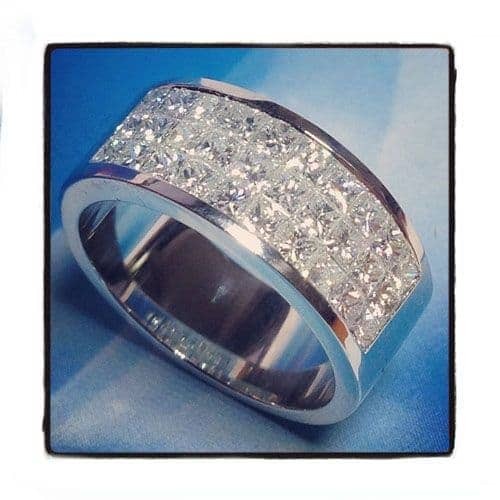 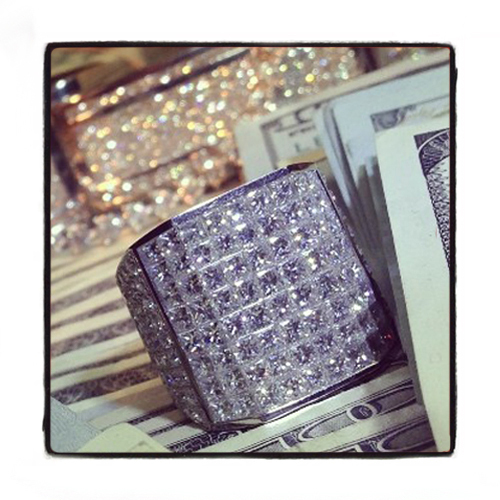 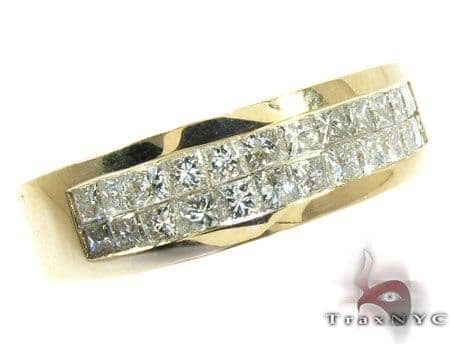 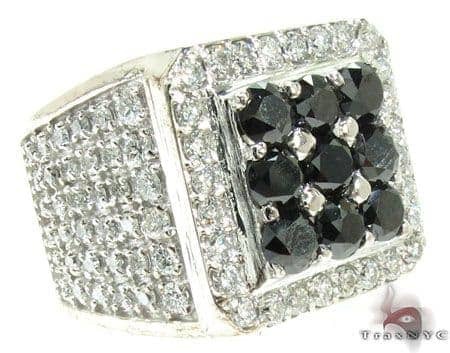 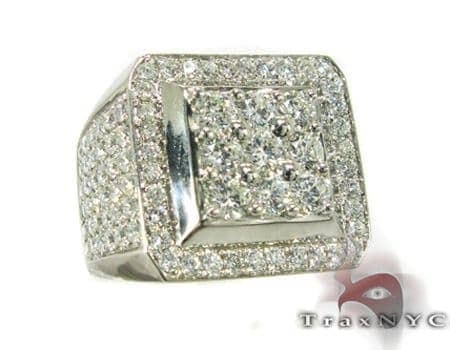 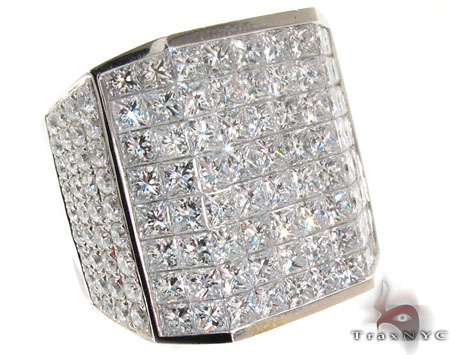 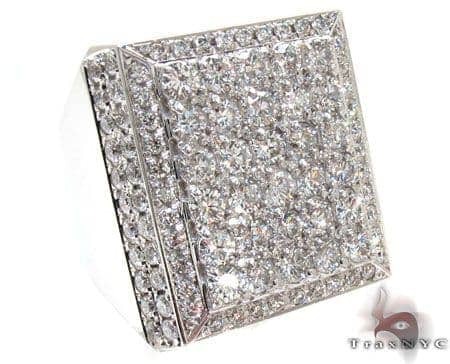 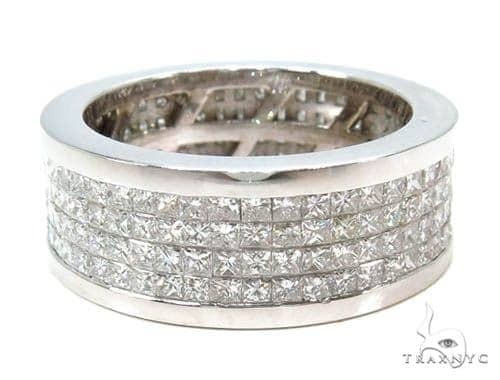 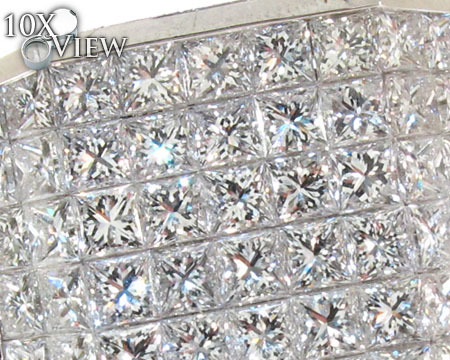 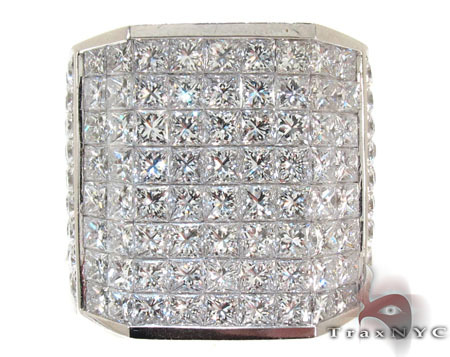 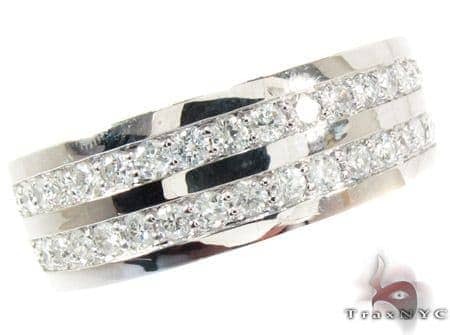 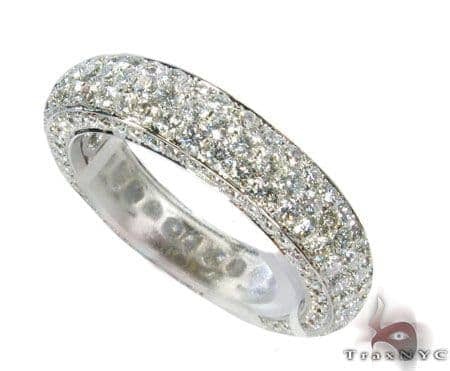 This brilliant mens diamond ring features VS quality diamonds which explode with brilliance under any light! 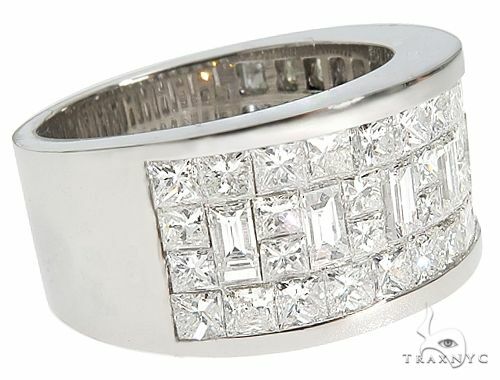 Princess cut stones are set on top of the crown with large round cut diamonds set in a prong setting on the sides of the band. 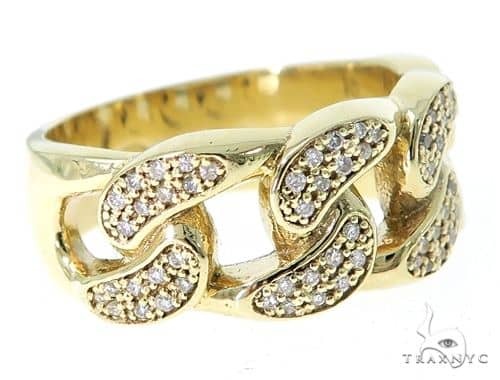 All the stones are matching in color and clarity. 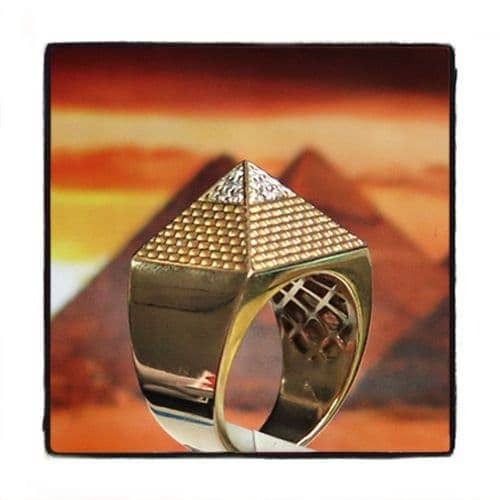 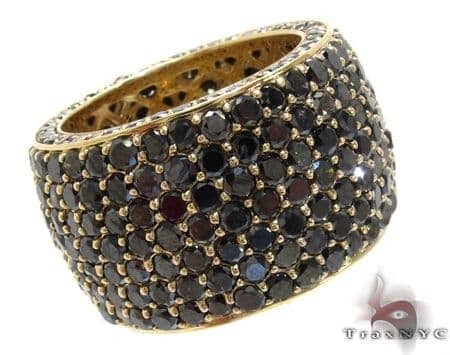 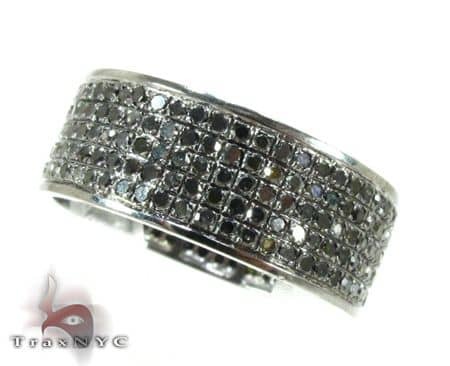 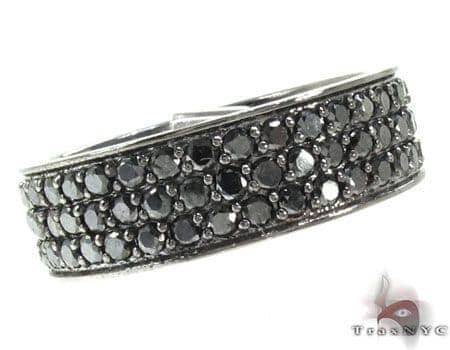 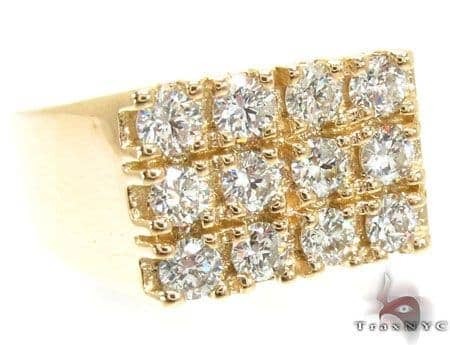 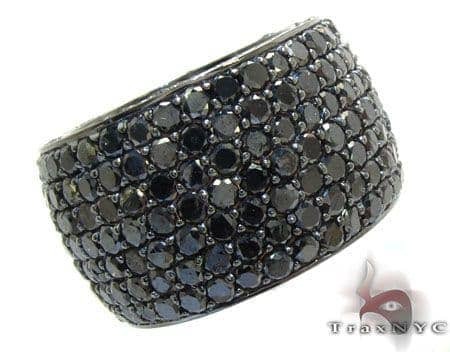 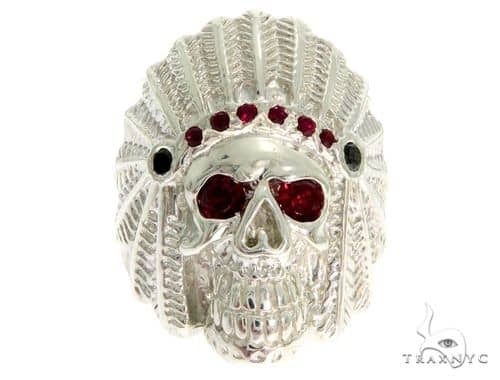 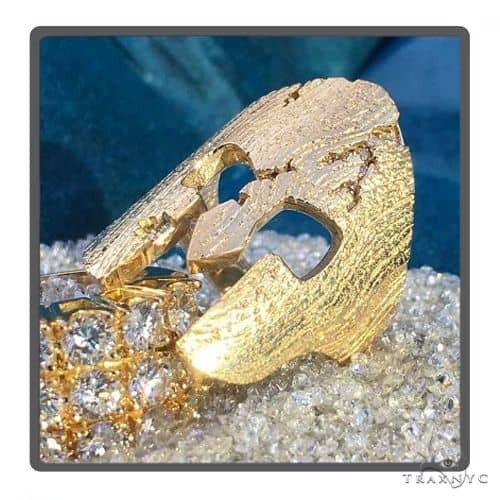 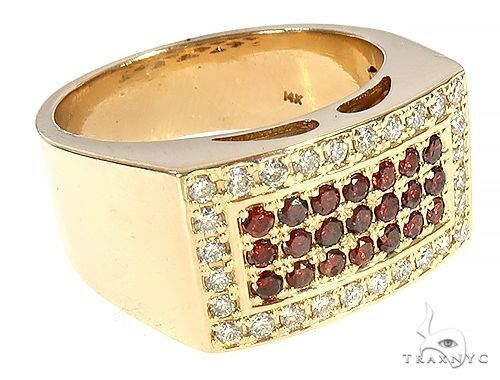 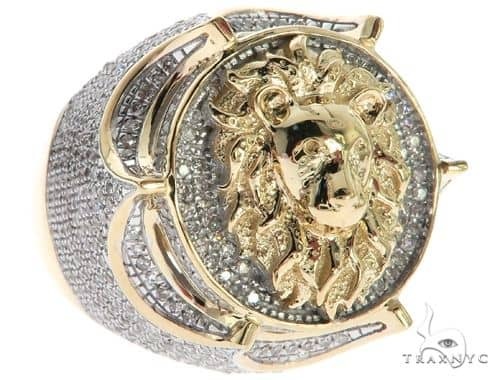 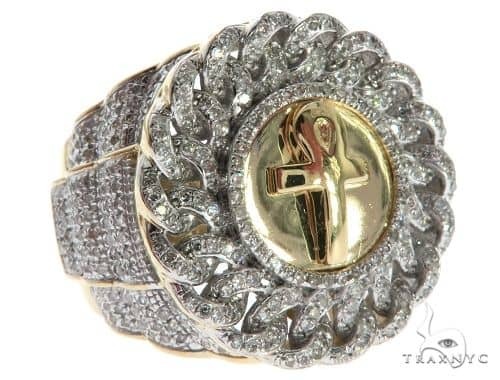 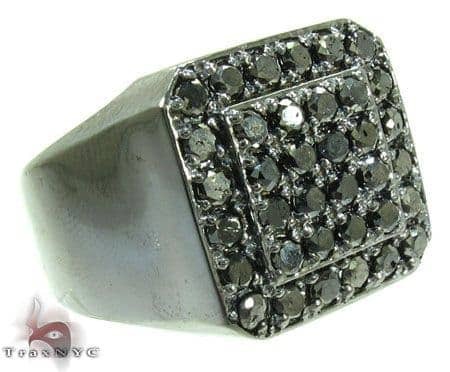 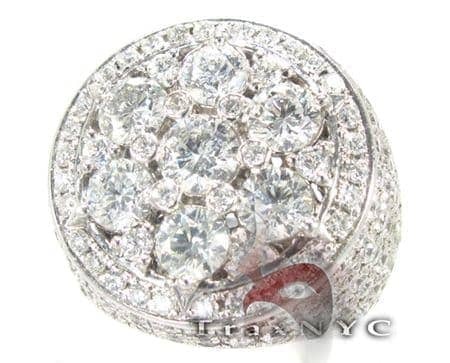 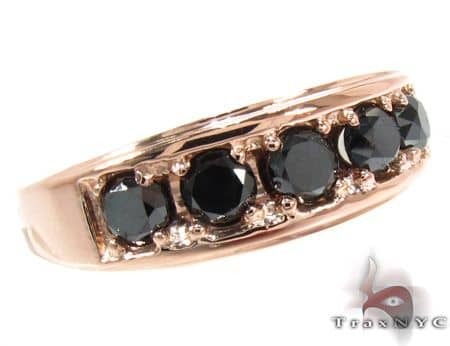 With its epic design, this ring is perfect for glamorous occasions. 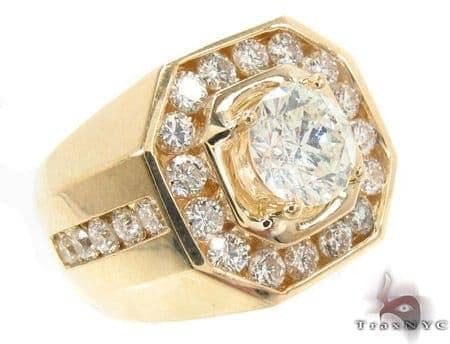 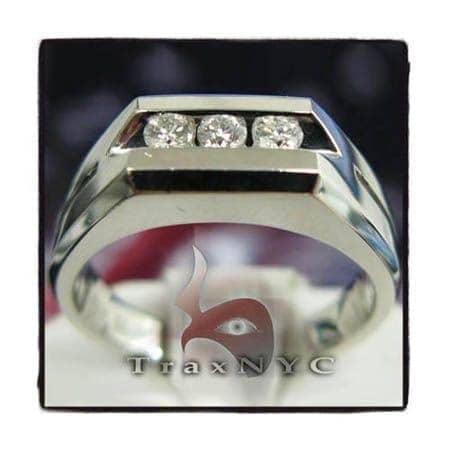 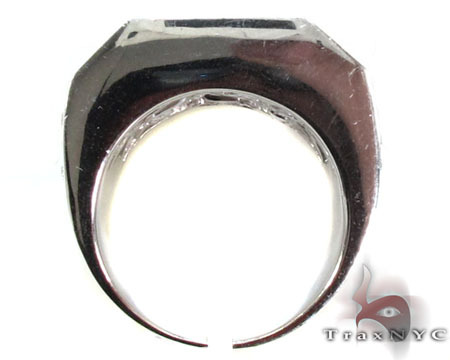 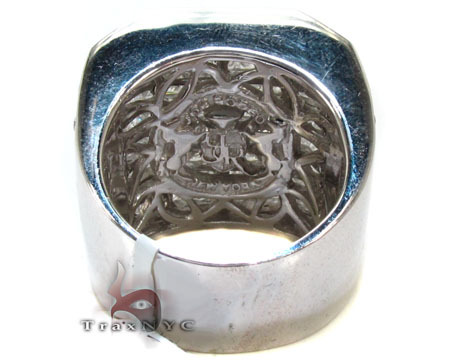 The sidewalls are filled with solid gold which give the ring a solid feel. 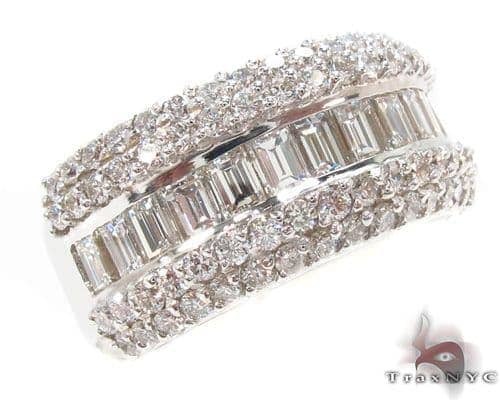 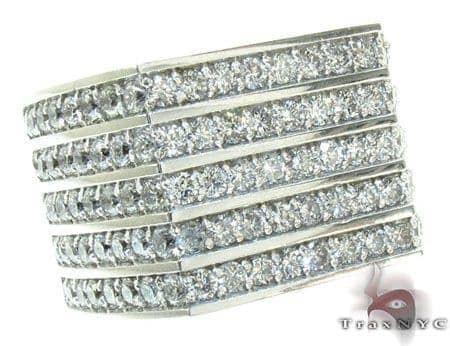 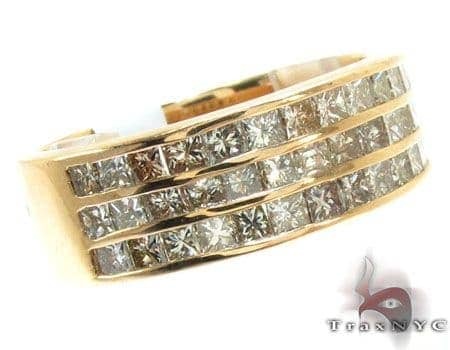 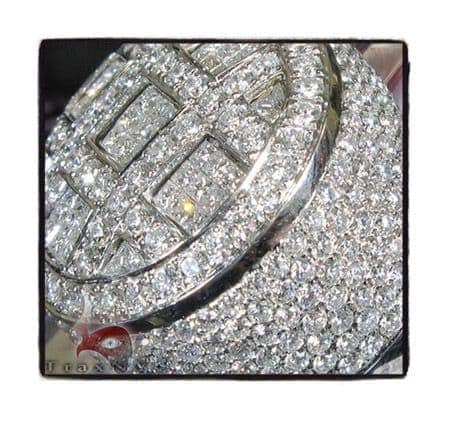 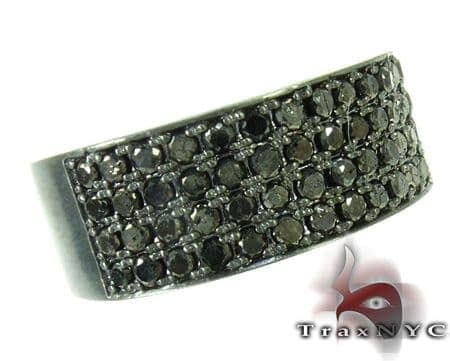 It will always increase in value thanks to its excellent craftsmanship and impeccable diamond quality. 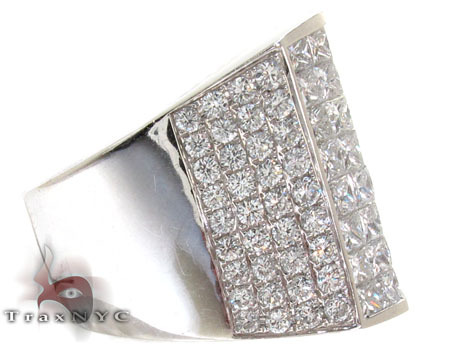 Handset by the most professional setters in the NYC diamond district!